One of the big downsides to many coffee machines is that they often only make a small number of cups before needing to be refilled or topped up with coffee; from machines that make a single serve through to machines that can hold enough water to make six cups, sometimes this just isn’t enough – if you are making coffee for a crowd, you need a machine that is going to keep up. 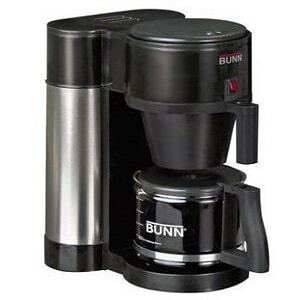 The Bunn Velocity 10-Cup brewer is perfect for when you have a crowd at home, or need a small machine for the office or the staff kitchen. Coffee machines are handy little appliances to have in the kitchen or the office, and if you are making coffee for a crowd, the Velocity Brew is a great option. Between you and I, the Velocity Brew would have to be my top choice in coffee machines if I was looking for a machine which could please the masses you have at home during the holidays. This little machine is so efficient it can brew anywhere between four and ten cups in about three minutes, brews into a glass carafe which sits on a porcelain-coated warming plate, has a sprayhead which ensures water flows evenly over the coffee for the best extraction and has a stainless steel internal hot water tank meaning water is kept heated to ideal brewing temperature. Another great feature of the Velocity Brew is that the water reservoir is filled from the front, which means you don’t need to pull the machine away from the wall or get cords twisted trying to fill it from the back. If you are used to waiting for brewers to heat up the water before you can use them, with the Velocity Brew you need wait no longer. Due to the short brew time, it is easy to flick on the machine when you get out of bed, get the day’s weather report and your coffee is ready to go. The only downside to this function is that the water is constantly heated ready to go which could slightly push up your power bills. There is a “vacation” switch which allows you to turn the machine off, and if you use this switch you will need to remember to turn your machine back on as it can take up to 15 minutes to initially heat the water up before it goes to constant heating again. Where do I buy coffee supplies? When you buy a coffee brewer or machine, your next step is often to look at where you can buy various coffee supplies such as beans and grinders. Most people will turn to online searches to try and find the best options, but remember to have a look around your local area. 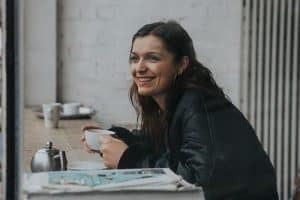 If you have a coffee roaster in your area you may be able to buy coffee supplies from them, which not only supports your local business but allows you to try out new flavours that you may not have otherwise.